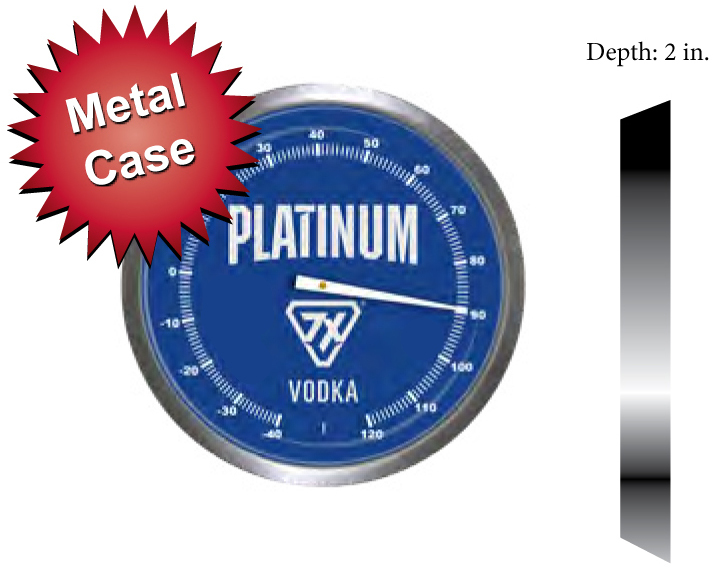 This 14 inch metal case thermometer is has a brushed stainless steel case and glass lens. Although these thermometers are more expensive that the plastic case versions, this thermometer is heavy and strong. Built to last, this thermometer will provide the accurate temperature for years to come. The wholesale pricing on the homepage includes a full color imprint of your logo or design. Ask the Sales Department for a quote on your project. Please include your zip code so we may provide a freight quote. 14 inch thermometers are popular for schools, hospitals, offices and tradeshow giveaways. Please email you logo so we may create a free virtual sample of your custom 14 inch thermometer.